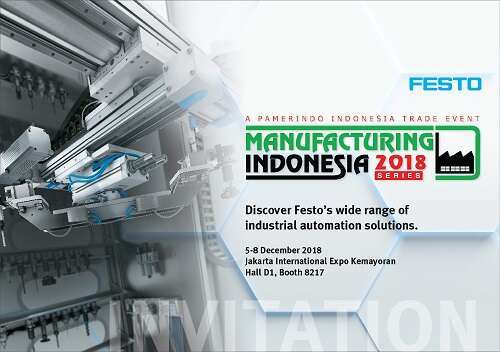 Indonesia’s largest international manufacturing exhibition is now in its 29th edition, and continues to be a strategic business platform for industry leaders and key players in the global manufacturing industry. Visit Festo’s booth at the show, and discover our wide range of industrial automation technologies. Find solutions applicable to various industries such as machine tool, automotive, small parts assembly and electronics, food and beverage, as well as water and wastewater.